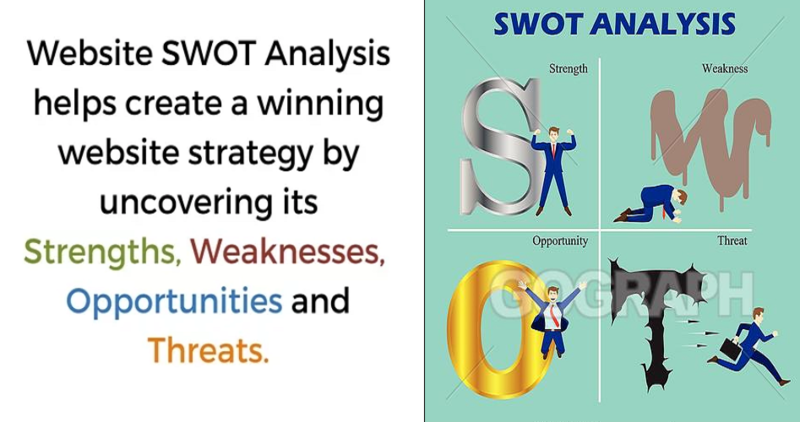 Why is SWOT Analysis important for your website’s success? The purpose of performing a SWOT Analysis on your website is to discover which characteristics are important to the website’s success and what factors can be potentially harmful. By doing a SWOT Analysis of your company website, you and other decision makers can better understand your website's strengths and weaknesses and identify external factors that might affect your organization. These findings will be especially helpful to consider when crafting your overall website strategy. We will do your website depth SEO analysis including following points. Strengths are an internal factor and are typically the easiest thing to detail, so we start here. What keywords do you rank well for currently? What content ranks well currently? What is your very best asset? What drives the most organic traffic? What are your best links? Weaknesses are again internal, and determining weaknesses is not so easy. You will have to be honest. Smart competitors will target your weaknesses, so you must identify them as opportunities for improving your SEO. What do your competitors do better than you (businesswise)? Where are your competitors stronger than you (SEO-wise)? What content is currently driving little to no traffic? Which SEO tactics have previously failed to deliver? Do you have the requisite SEO skills in-house? How popular your website is. Your SEO opportunities are born out of the strengths and weaknesses. Strengths are areas to build upon. Weaknesses are areas to be explored. What content could be built that would have a significant impact? What aspects of the site could be optimized to improve results? What areas of the site that perform well could be expanded to perform even better? What weaknesses could be easily resolved? Note -This package include your website SEO SWOT analysis based on above points. We will not do on page SEO analysis too for target pages -We will not make any change in website and we will not do off page SEO or link building work.